Who defines the world of finance and economics today? Between the market-trend tweeters (do people still talk about Bitcoin? ), hedge fund managers, the on-air entertainment reporters on CNBC, and stock-picker bloggers, there is no shortage of people to keep track of in the industry. Plus, the very people that make the most noise on our phones and TV screens are not necessarily those you should familiarize yourself with to keep up with current events, global business and trade, economic policy and more. So who are the most influential and relevant people in economics and finance today? We give you our picks below. 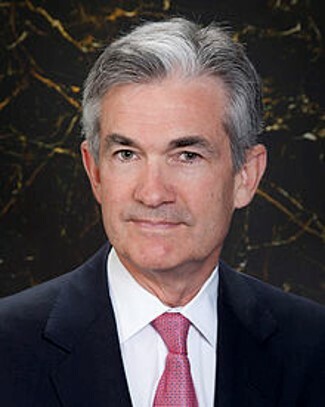 Powell took office as the 16th Chair of the Federal Reserve in February 2018. He previously has been a clerk, a lawyer, and a partner at The Carlyle Group, at one point the world's largest private equity firm by capital raised. He is also the first chairman in 40 years not to hold a Ph.D. in economics but rather has a degree in Politics and a J.D. In September of 2016, Mr. Powell voted in favor of beginning the years-long process of winding down the U.S. central bank’s $4.5 trillion bond portfolio. Despite Trump’s public commentary on Federal Reserve’s actions, Powell has focused on a Fed independent of the White House, an election, and other political pursuits. On the Fed's independence, Powell has stated he is "strongly committed to an independent Federal Reserve”. Since January’s FOMC meeting, his actions on behalf of the Federal Reserve have proven to be more accommodative as he shifted to a more dovish stance from his previous hawkish outlook. Instead of promising to raise rates three or four more times by the end of 2020, plus leaving its balance-sheet reduction plans on autopilot, the Fed is likely to ease off a bit in 2019 with only two rate hikes projected. 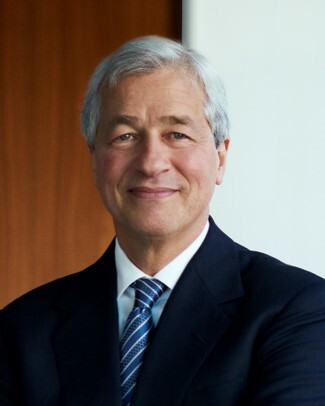 Jamie Dimon is the Chairman and CEO of JPMorgan Chase which is the largest of America's "Big Four" banks. In 2008 during the Great Recession, J.P. Morgan acquired investment bank Bear Stearns and the retail banking assets of Washington Mutual under Dimon’s direction and maintained profitability. 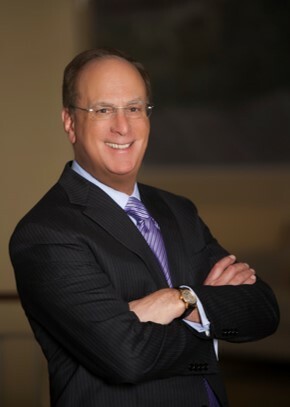 Not only is he a powerhouse in the financial world, but now he is attempting to tackle the Healthcare industry. On January 30, 2018, JPMorgan Chase, Berkshire Hathaway and Amazon delivered a joint press release in which they announced plans to pool their resources to form a new healthcare company for their U.S. employees.³ Dimon’s vision for this venture, in his words, “is to create solutions that benefit our U.S. employees, their families and, potentially, all Americans.” Dimon is a frequent visitor to Washington D.C. and has defended JPMorgan in several high-profile hearings. 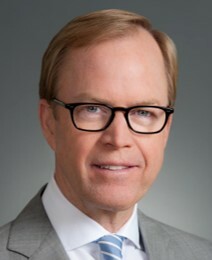 He represented the company among other Wall Street CEOs on Wednesday, April 10 as the U.S.’ largest banks testify before the House Financial Services Committee to examine the industry’s activities a decade after the financial crisis. 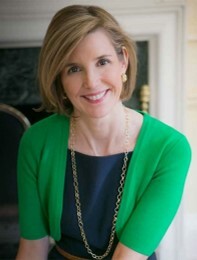 Krawcheck launched Ellevest, a digital investment platform made for women, in 2016. Once called "the most powerful woman on Wall Street", she was famously fired from Citigroup for returning money to clients during the 2008 recession. 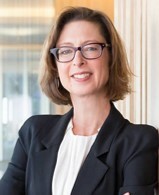 Krawcheck has made it her life mission to revolutionize the investment industry by having open and honest conversations around personal finance and by closing the gender investing gap in the investment industry. This month, Ellevest closed a $33 million funding round led by Rethink Impact and PSP Growth. 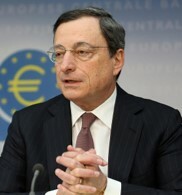 Mario Draghi is an Italian economist serving as the President of the European Central Bank (ECB) since 2011. Draghi came to control the ECB at a critical time during the Euro-zone debt crisis. From 2002- 2005, Draghi was Vice Chairman and Managing Director of Goldman Sachs International and a member of the firm-wide management committee. In December 2005, he was appointed Governor of Banca d’Italia, and a position as Chairman of the Financial Stability Forum soon followed. As this forum developed into the Financial Stability Board, Draghi essentially worked on behalf of the G20. He earned his nickname "Super Mario," for his heroic ability to navigate European politics. His term as ECB President will come to an end in October 2019, so it’s important to keep a pulse on who will be named his successor. The last time the ECB raised rates was six months before Draghi became president, and he pledged in July 2012 to “do whatever it takes to preserve the euro”. During his reign, he implemented “extraordinary measures” to uphold his promise. The next in line will not be entering a rosy administration as growth has completely slowed across Europe and recession fears are becoming more and more legitimate. Theresa May is the Prime Minister of the United Kingdom and the first female leader of the Conservative Party. She became the second female PM of the U.K. (first being Margaret Thatcher) after replacing David Cameron in 2016. This came only twenty days after the British people voted to leave the European Union via Brexit, which placed Theresa May directly in the spotlight. No country has ever left the European Union, and as a leading military and financial power, the U.K. has struggled with how to approach and execute Brexit since June 2016. 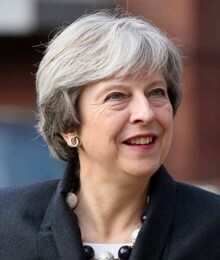 On April 2nd, 2019 after months of deadlock on a Brexit decision, May reached out to adversary Jeremy Corbyn, leader of the opposition Labour Party, to try to reach an agreement.4 The session ended with no breakthroughs as has been the case with the last several Commons votes which has called her reputation into question. On Wednesday, a summit is being held for all EU states to vote on an extension for Brexit until at least June 30, and up to a full year. Timmer is the director of Global Macro in the Global Asset Allocation division at Fidelity Investments and holds a Chartered Market Technician (CMT) designation. Timmer is responsible for analyzing market trends and synthesizing investment perspectives across asset management to generate market strategy insights. As a regular CNBC contributor with over 15,000 Twitter followers, he provides concise market updates backed by hard data on macroeconomic topics ranging from Fed cycles, earnings estimates, and more. 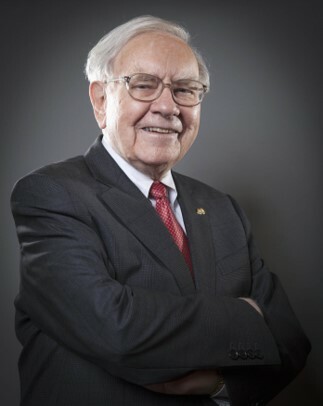 Buffet is a self-made billionaire and investor who has served as the Chairman and CEO of Berkshire Hathaway since 1970. Have you heard of him? All sarcasm aside, Buffet is widely considered the most successful investor of the century. Although his father was a stock broker and he studied economics, his mastery of the industry is mainly derived from life experience and being a self-taught businessman. He is recognized for having made value investing a cornerstone, and for seeing individual stocks as a long-term play rather than just a capital gain. He presides each year in Berkshire Hathaway's annual shareholder's meeting also dubbed as the "Woodstock of Capitalism" where thousands of his followers flock from around the globe. 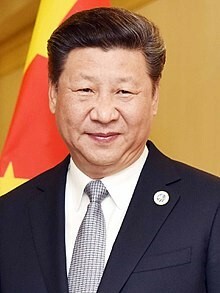 Xi Jinping is the President of the People’s Republic of China, born to a Chinese Communist Party leader and comrade of Mao Zedong, Communist China’s founder. Jinping’s early life was spent dedicated to the Communist Party and serving in the military at one point as vice premier, assuming early military and leadership roles. Some of his achievements include formally ending China's one-child policy in 2015 and allowing international investors to trade shares directly on the Shanghai stock market. His economic regulations have helped establish China as the global superpower it is and the world’s second largest economy by GDP. The U.S. and China have become closely entwined, especially through recent years of growth and development. However, of late, the U.S.-China relationship has been marked by trade war, and the “epic” trade deal we have been waiting for remains a question mark. Want to get acquainted with who would make our “Who’s Who of Economics and Finance”? To get to know the familiar faces that make up the Beaumont Capital Management (BCM) investment team, click here.